I’ve gotten a lot of emails asking about the license that NetDragon picked up a few years ago for making their own 3D version of Ultima Online and for some reason it keeps coming up on some UO forums. I think it’s important to talk about, because there is a lot of speculation floating around and being pushed by a few people, and it’s clouding the issue with what we currently know is actually happening with UO, versus a proposed game from a third party company. This is longer than most posts I make, but this post was started in March, and I’m making this a part of a series of large articles I’m working on about the future of UO, since it does fit into the scheme of things. I’m not trying to lay the issue to rest, I’m trying to gather information to present a bigger picture of where such a game, if it exists, would fit into the scheme of things. Note: I’m going to refer to the Ultima Online that is currently in production and being played as BioWare’s UO. Mythic seems to be in the process of being replaced with BioWare as a brand at all levels, so forgive me if I don’t mention Mythic. BioWare is its own label, something that Mythic was never able to achieve, and as such, it makes sense. Electronic Arts Inc. and NetDragon Websoft Inc., a leading game developer and operator in China, today announced a licensing agreement for the development of a new massively multi-player online role playing game (MMORPG) based on “Ultima Online” from Electronic Arts. As part of the agreement, NetDragon will develop the new Ultima Online in collaboration with EA’s Mythic Entertainment, and have the exclusive operating license for China, Hong Kong, Macau and India. Jon Niermann, President of EA Asia said, “Ultima Online(TM) is a well known EA property and we’re delighted to bring the game to fans in China, Hong Kong, Macau and India. NetDragon is a proven partner and we’re confident in their expertise to build and operate a great gaming experience for players”. Our new version of Ultima Online is a 3D MMORPG, based on the theme, characters and other content of EA’s Ultima Online™. Now I don’t have any insider knowledge, but what I do have is some observations. My biggest observation is this: You have no reason to panic that the Ultima Online that we are familiar with is going away or is going to be taken over by NetDragon. 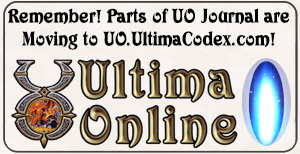 When we look at Ultima Online, a lot of things are being done for UO that would not be done were UO in the process of being replaced by a third party or by a completely 3D version. NetDragon’s proposed 3D UO would not be using the same client and server software, nor would it be using the same artistic styling. There would be no way for BioWare UO players to cross over to a NetDragon 3D UO without losing up to 14 years worth or work, items, skills, characters, etc. If you were to tell existing UO players that they must give up to 14 years worth of work, items, skills, characters, homes, etc. in order to play a new 3D UO, the majority players who are still around would simply not do it. You’re asking them to basically give up UO for a completely different game that happens to use some of the same types of monsters and place names. Those players who would be willing to give away all of that work are just as likely to try out other MMOs and BioWare would risk losing millions of dollars, regardless of any payments from NetDragon. There is no comparison between millions of dollars that are actually coming in and the loss of those millions on the promise of licensing fees. Look, we are talking about a company that would rather support two clients, even if it impacts future development, rather than cancel one and risk upsetting many players. Unless UO was losing money, they were not going to just give it away or risk losing existing customers. After all, UO is still widely profitable. Now it’s obvious why NetDragon wanted a 2012 release for their version of UO – it’s the 15th Anniversary of the launch of UO. Electronic Arts would benefit as well from any and all publicity directed UO’s way, or least that’s how they saw it in 2009. Many things have changed since 2009, and I’ll explore them in further detail below. EA would not allow BioWare to devote resources to UO if it was going to be replaced by a third party UO in 2012. Those resources cost money, and they would be better used on Star Wars: The Old Republic than on new UO content that would disappear in less than a year, to be replaced by a new 3D UO. That is assuming that the content being worked on, both the high resolution artwork, the new player experience system, and the new quest system will even be finished by the start of 2012. I do not see one, and possibly two of those being finished in 2011, but I see all three being finished by the 15th anniversary in 2012. They would just let UO coast for a while and put those resources into Star Wars: The Old Republic. While UO has had some dark days over the last nearly 14 years, things have changed a great deal since the end of 2010. While I am not going to discuss some of the specifics, because I don’t feel it’s appropriate for various reasons, there is interest from BioWare in Ultima and Ultima Online. Keep in mind that BioWare is now a label. Do not underestimate how important this is. We have the Ultima Forever project from BioWare and we also have Good Old Games selling Ultima titles. I’ll have more to say on the matter below as far as loaning out labor. EA seems to be in the process of reviving some major games and gaming franchises. They announced earlier this year that they would be bringing back popular games and gaming franchises. The financial and game industry analysts saw the reason being that it’s more profitable for EA to bring back their own in-house properties versus the many licensed games they have where they have to pay out a certain amount of revenue or fees to third parties. NetDragon seems to be doing this as well – I have seen reports that they want to focus more on intellectual property that they have independently developed. Besides BioWare’s intense fascination with Ultima IV, and EA’s legal team becoming interested in Ultima IV, as an example, they are bringing Theme Park to Apple’s iOS platform for iPad and iPhone (and iPod touch) fans. As WTF Dragon at Ultima Aiera pointed out to me, EA seems to be bringing back the Alpha Centauri series as well. We have the aforementioned Ultima Forever project that is a favorite of the BioWare folks, and there are other examples. Things have definitely changed over the past year, and EA seems to be showing much more respect to its older titles, whether it’s bringing them to mobile devices or looking at bigger projects. Don’t forget that work is being done on Dark Age of Camelot as well. While it’s hard to judge what that work means for the future of DAoC, it’s a clear indication that “bigger things” are being done within BioWare. I dare say that if NetDragon hadn’t snagged the Dungeon Keeper license when they did, that they might not be able to acquire it now. The same goes for UO. The NetDragon UO license was for China, Hong Kong, Macau and India. Now I had an email where somebody discussed the Dungeon Keeper license being expanded by EA for NetDragon to potentially include other parts of the world. As a Dungeon Keeper fan, I like that. As a UO fan, it means nothing to me. Dungeon Keeper as a whole was allowed to enter hibernation. Some have claimed EA deliberately killed it and its parent studio off. I’m not going to get into the Dungeon Keeper drama, other than to say that the Ultima and UO franchise, while things seemed dark at times, never hit rock bottom like the Dungeon Keeper license did. Dungeon Keeper does not have a presence anywhere. It makes logical sense that EA would allow a third party that had a license for Dungeon Keeper in Asia to expand its Dungeon Keeper license elsewhere. This is not the case with Ultima and Ultima Online. Ultima Online has had a presence in EA’s major gaming markets since 1997 and the Ultima franchise was never allowed to completely hibernate, or be killed off if you want to compare it to Dungeon Keeper. 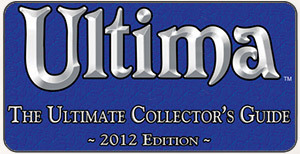 Ultima games were still sold by EA over the years in collections, and UO carried the Ultima banner after Ultima IX was released, and after Ultima Online 2 and Ultima X: Odyssey were killed off. Unlike Dungeon Keeper and after the cancellation of Dungeon Keeper 3, there were several attempts to create new Ultima and Ultima Online sequels between the last standalone Ultima game and 2011. Some of those are famous and got pretty far – Ultima Online 2 (aka Ultima Worlds: Origin) and Ultima X: Odyssey. Others were not publicly known about, and only revealed years later. What is clear is that there has always been some group within EA looking to bring a new Ultima or Ultima Online into being, and some of those groups have gotten pretty far over the years. Another factor, and I’m a little iffy about bringing this one up, but it’s been brought up in an email to me, and in posts on the Stratics forums, is that NetDragon prefers to work with certain artistic styles that appeal more to Asian audiences than gamers living elsewhere. While I believe that any 3D UO that NetDragon develops would follow the majority of artistic styles that NetDragon seems to prefer, what some mistakenly refer to as “cartoon-like”, that does not mean it would be rejected out of hand by everybody. Sure, the serious fans of the “classic” graphics from UO would soundly reject such a UO, but that does not mean it wouldn’t be popular. World of Warcraft is considered by some to be “cartoon-like” and yet it’s roped in more players than any other MMO available to North American and European players. I also received two emails asking about whether or not EA or BioWare is directly working with NetDragon on a NetDragon UO. I would say that there is a 99% chance that if there was a NetDragon 3D UO in development, BioWare is not directly helping NetDragon by providing developers, designers, and artists for a couple of reasons. Just because the agreements or press information says NetDragon is working in collaboration with EA does not mean that EA is loaning them any human resources. It could be something as simple as EA providing some general guidance or documentation about the world of Ultima. Keep in mind that NetDragon wants to produce a 3D UO, which means new server software and possibly new client software. Even if NetDragon wanted to license the Gamebryo game engine, which powers the Enhanced Client and can be used in 3D games, it may not even be possible. Given that Gamebryo’s parent company has some financial/business issues, I’m not sure that NetDragon could legally license it at this point, but from what I’ve read, they don’t use Gamebryo anyways. That rules out any client help from BioWare UO developers, not unless NetDragon was willing to spend a lot of time and money training them up in whatever client they want to use. Client issues aside, BioWare’s UO developers, designers, and artists won’t have much to contribute to a 3D UO from NetDragon because the server software would definitely be radically different from BioWare’s UO server software, and level designs would differ as well as the artistic styling, and it would require a lot of time to bring them up to speed. NetDragon would not invest the time and money into bringing those people up to speed, only to see them recalled to the US to work on BioWare projects such as Star Wars. NetDragon would have to promise or pay EA a lot of money for that to happen anyways, and at that point, it would be cheaper and easier for NetDragon to spend money on developers, designers, and artists that are under its control and not subject to the whims of EA. NetDragon even had the opportunity to hire people who had just been laid off, who had worked on Ultima Online. When I first started hearing of the Mythic layoffs, my first thought was that NetDragon would hire those people since it would help them along. That didn’t happen. While we have seen UO suffer for manpower at times since 2009, that could be traced to to the layoffs within Mythic, or work on Star Wars: The Old Republic, and definitely not due to developers, designers, or artists working with NetDragon. Then there is the timing. The agreement was signed in July, 2009. Stygian Abyss launched in September, 2009. EA was not going to loan UO developers to NetDragon to work on a third party UO in 2009, because Stygian Abyss was Priority #1 for the UO team in 2009. After the launch of Stygian Abyss, over a period of time, many UO developers were laid off, while others were roped in to work on Star Wars: The Old Republic. Here in 2010 – 2011, there isn’t the manpower for UO that there was in 2009, and more importantly, Star Wars: The Old Republic is Priority #1. If UO developers and artists are going to be pulled off of the BioWare UO team for another project, it’s going to be to work on the Star Wars: The Old Republic team. Ultimately, EA is not going to give up BioWare resources to a third party, not while they are dumping everything, including the kitchen sink, into Star Wars: The Old Republic. After all is said and done, let’s take a look at what is actually known about the situation. * The press release at the top of this page. * Financial reports from 2009 – 2011 that mention a new version of Ultima Online. * No mention of UO on NetDragon’s game/product page even though they mention games they have produced, are working on producing, or are planned to be produced. According to a press release concerning their games and financial information from June of this year, and from the previous quarter, there were six games listed as being in their pipeline. The non-UO games, including the EA licensed games, are listed on the product page. UO is not listed, but it does have an official forums. Strange, and not like NetDragon to say the least. * Just as BioWare’s priority when it comes to MMOs is on Star Wars: The Old Republic, NetDragon’s priority when it comes to EA licenses is on Dungeon Keeper Online or World of Dungeon Keeper as it’s referred to. This seems to be taking up an increasing amount of time and resources as they get closer to releasing it. * Something tied to the priorities of NetDragon, NetDragon seems to be emphasizing more of their own in-house titles. This is similar to EA preferring to use their own in-house titles since the profit is higher, versus a license with a third party company where revenue or fees have to be paid. A changing of priorities to Dungeon Keeper or in-house titles would easily explain a lack of development or delay in development for their version of UO. * The aforementioned official 91.com forums for UO are long dead and have never seen any active involvement from NetDragon developers. It would appear that the 91.com website group was told to add forums and that was it. * NetDragon had the opportunity to hire several UO developers after the Mythic layoffs, and did not do so. * No contact from NetDragon. I’ve tried directly contacting various email addresses I have come across for NetDragon employees, and the responses or non-responses I’ve received all seem to indicate that NetDragon is focused on other properties. Having followed NetDragon off and on over the years, and getting a decent grasp of how they handle the press for their games, the silence over a NetDragon UO is, well to use a popular phrase, deafening. I’ve never seen this much silence from NetDragon over any game they’ve had in production, and there isn’t a logical reason to keep things under wraps based on their history. * No video or screen captures have been released. It’s August of 2011. If NetDragon was serious about an Ultima Online going into production in 2012, we would have already have seen some evidence, even if it was simply some kind of screen captures or game video. Development of MMOs is not a quick process. Some people are under the impression that you can take an MMO or client engine, slap a new skin on it, and release it a few months later. That’s simply not how it works. If a major MMO was in development for 2012, we would have already seen evidence of the actual game itself being developed in 2011, and probably even earlier. They are not going to wait until 2012 to start working on it, not if they want to launch it in 2012. The time for building the foundation of a solid PR base for a big, new, 2012 MMO release is now. If you launch with any problems or major bugs, and don’t already have a major awareness or “buzz” as some say, and a base of fanboys built up, then you risk your game only being known for bugs or other problems, and that will be the early death of it. You need a good PR campaign and a base of fanboys to draw upon and help build a positive image leading up to the launch, and you can’t build that overnight. While any version of UO that NetDragon might hope to build is not going to rival Star Wars: The Old Republic, the Star Wars team has been building up the hype and awareness for a couple of years now and Star Wars is still some time away. Blizzard is slowly building awareness of it’s 2013 Titan MMO. These are titles that really don’t even need much of a PR machine. While I don’t think the NetDragon 3D UO, if it is produced, will have an impact on those of us currently playing UO, I think it’s important to discuss since they did reach an agreement with EA in 2009 and since some of us will have the opportunity to play such a game should it ever happen. I think it would be good for the Ultima franchise if a UO was available in countries where UO doesn’t currently have a presence. However, at the current time, the evidence is just not there for such a game existing. More importantly, the evidence speaks out against such a game. Simple logic also speaks out against such a game replacing the BioWare UO that we play. Although I’ll be covering this more in detail in Part 2 of this series, there are moves being made within BioWare as far as UO, that would not be happening if EA intended NetDragon to replace our UO. While it may seem that I’m trying to put it to rest, I’m not – I am just discussing the here and now. Once the World of Dungeon Keeper ships, then they may decide to turn their attention to their own version of UO. If I had to guess, I’d predict 2013 at the earliest.